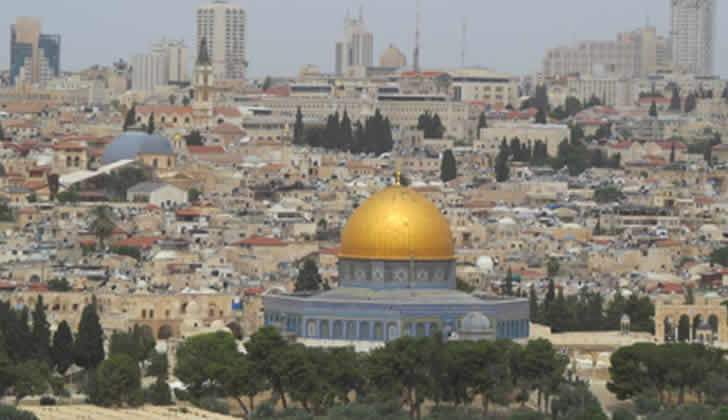 Israel attracts thousands of people every year to visit the religious sites scattered throughout the country, a good number of which are significant to several Abrahamic religions because of their shared history. Whether you are devout or non practicing, there is something to gain from visiting a place held close to the heart of the community. The Old City of Jerusalem is the home to the Western Wall, Dome of the Rock, and other synagogues and mosques. The Old City is divided into four quarters. Each neighborhood is named according to the people that have historically occupied the location. There are marketplaces filled with knick-knacks for tourists. Besides the places of worship, the Western Wall holds great religious significance. For the Jews, they look to the wall as a symbol of a time when the temples were established. They call it the Wailing Wall because it is where the Jews mourn the loss of the temple just behind it. For the Christians, it is something straight out of the Old Testament the precursor to their current faith. For the Muslims, it was a stopping place of the prophet Muhammad who passed by Jerusalem on his way to paradise. They call it the Buraq Wall because it was where he tethered his horse. Regardless of the religion, it has become a site of prayer. People also leave written prayers in between the cracks of the stone. You can stay in Jerusalem Vacation Rentals if you want to take the time to see the Old City. The website https://www.koshack.com also has other vacation rentals in Israel with Tel Aviv rentals and places in Haifa. Being in an apartment can be cheaper than a hotel with its many additional fees. You can stay longer and avoid being rushed by day tours. Mount Carmel is a part of the Carmel mountain range. It is an essential place for Jews, Christians, Muslims, and Baha'is. It is the site where Elijah confronted King Ahab and the prophets of Baal. In Elijah's Cave, you can see the grotto that is believed to be the location where Elijah prayed and slept before the confrontation. Even though it is not proven, people think that the cave has powers and has become a place for the devout to say a short prayer. Elijah is a prominent figure in the Old Testament, he was a prophet and did miracles in God’s name. To the Muslims and Baha'is, he is considered a lesser prophet, but a prophet none the less. There are bike lanes and walkways on the Mount Carmel national park. You can take that route to get a more comprehensive look at this historical and religious place. Haifa is also home to the Baha'i World Center with is a UNESCO World Heritage Site. The Shrine of Bab sits on Mount Carmel and is considered the second holiest site for the Baha'is. The son of Baha'u'llah created its design in the 1800s and it was built by his grandson. After you visit the shrine, you can see the Baha’i terraces which are still on Mount Carmel. They are also known as the Hanging Gardens of Haifa.